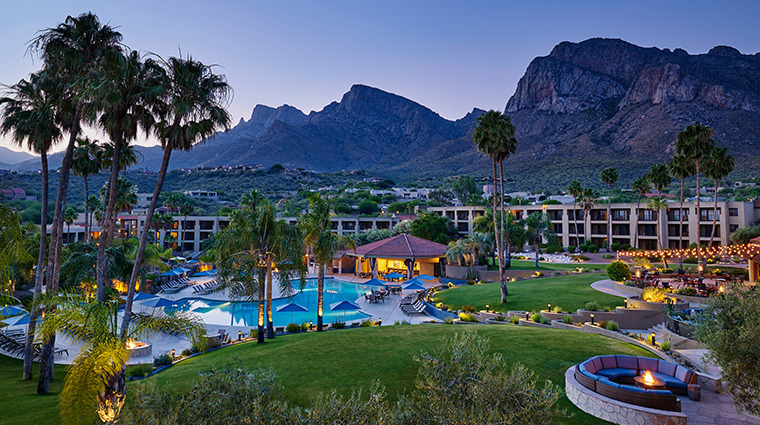 This beautiful Tucson Resort is set at the base of the Santa Catalina Mountain range in Northwest Tucson, AZ. 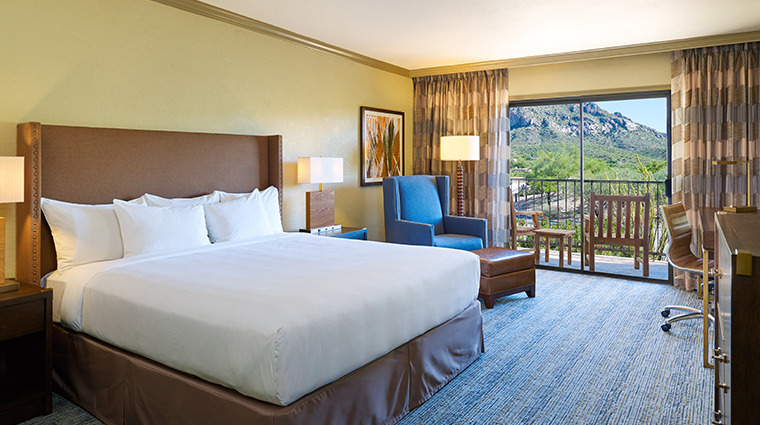 Inspired by the beauty of its pristine natural canyon views and lush desert surroundings, this luxury full-service Tucson Resort is equipped with golf, tennis and conference facilities and is the perfect location to enjoy your next vacation or conference. The Hilton El Conquistador is the largest golf resort in Southern Arizona offering 45-holes of championship golf on three different courses: The Hilton El Conquistador, The Canada and Pusch Ridge, catering to all levels of golf enthusiasts with a comprehensive golf academy. All guestrooms and suites include amenities such as: minibars, luxurious guest robes, hairdryer, in-room movies, double data-port and wireless high-speed Internet access. Relax and unwind in the beautiful high desert at one of the premier Arizona desert resorts.